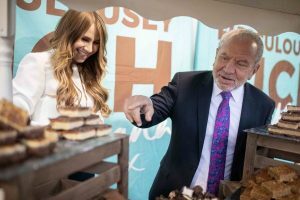 Everything from dairy-free ice cream to peanut butter puffs, slow release energy snack bars to vegan croissants was on show at the Natural Food Show in London in April, the UK’s biggest trade event for natural and organic food and drink. 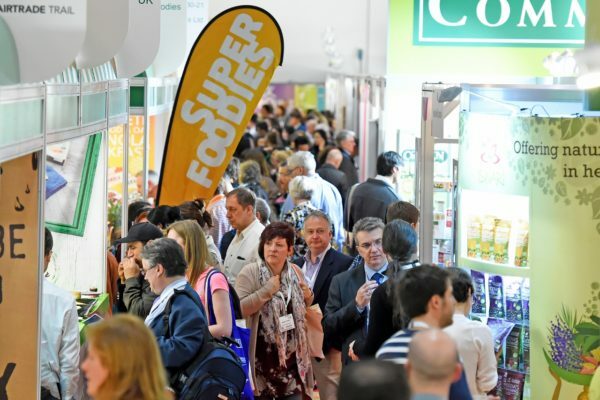 This year, a record 10,226 people from 86 countries attended the Natural & Organic Products Europe show, a 10 per cent increase on last year. “Consumers are showing increasing awareness of the benefits of following a natural and healthy lifestyle, and this sector is constantly innovating and evolving to meet that demand,” said event director Carol Dunning. Bounce expanded its Energy Ball range by launching a Coconut Lemon flavour. Targeted at consumers who want a ‘lighter snacking’ option, the variety includes a mix of coconut, nuts and whey protein with a fresh lemon flavour and can be enjoyed on the go, with lunch, or pre and post exercise. Available in Whole Foods Market, Planet Organic and independent stores in the UK for between £1.79 ($2.59) and £1.99, the product is vegetarian friendly, gluten-free and made from non GM ingredients. Other flavours in the range include Peanut Protein Blast, Almond Protein Hit, Coconut & Macadamia Protein Bliss, Spirulina & Ginseng Ball, Cacao Mint Protein Bomb, Apple & Cinnamon Protein Punch, Cashew & Pecan Vitality Lift and Cacao Orange Protein Burst. Booja Booja unveiled its range of dairy-free ice cream. Set to launch in the autumn, the ice cream is Kosher certified and is made with cashew nuts and sweetened with plant based agave syrup. It is available in five varieties: Hunky Punky Chocolate, Keep Smiling Vanilla M’gorilla, Coconut Hullabaloo, Feisty Rollercoastery Ginger and Pompompous Maple Peacan in 110ml and 500ml sizes. Prices range from £1.99 ($2.85) to £6.99. 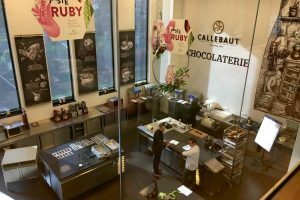 The company also exhibited its chocolate truffle collection. Available in ten flavours, the chocolates are made with organic chocolate, sourced from the Dominican Republic, while the Raspberry and Dark Ecuadorian flavours are made with raw chocolate produced in Ecuador. Other flavours include Almond & Sea Salt Caramel, Fine de Champagne and Hazlenut Crunch. Prices range from £1.19 ($1.71) to £3.99 for two and six packs respectively. Gathr Foods showcased its Crobar energy bar, which claims to be the first food product made with insect flour to retail in the UK. Made with cricket flour, the bars, which also contain fruits, nuts and are gluten-, soy- and dairy-free, are available in cacao and peanut flavours for an RRP of £2.29 ($3.30) at Planet Organic and Nutri Centre. The company says it sources the organic cricket flour from crickets that have been fed a diet of organic nuts, seeds and fruits. According to Gathr Foods, crickets contain more protein and less fat than an equivalent amount of beef and are high in iron and vitamin B12. They also produce less carbon dioxide than cows and producing one pound of crickets takes four litres of water, compared to 9,000 for one pound of beef. Perkier launched its quinoa and sprouted bars. 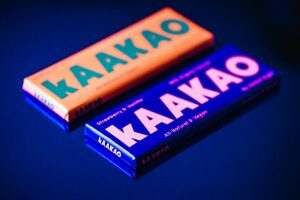 The bars, which include natural whole food ingredients such as quinoa, cacao, chia and goji berries, are said to provide slow release energy, a natural source of fibre, plant proteins and are rich in antioxidants and omega-3. Suitable for vegetarians and vegans, they are gluten-, wheat- and dairy-free and have no cane sugar or palm oil. The bars are available in four varieties: Cashew, Chia & Pumpkin Seed Quinoa, Goji & Cranberry Quinoa, Cacao & Cashew Quinoa and Oaty Cranberry & Cashew Sprouted Buckwheat for under £1 ($1.44). Cheeky Monkey Peanut Butter Puffs used the show to launch in the UK following its successful introduction in the US market. The snacks, which are said to be organic, non GMO and gluten-free, are available in three pack formats and three flavours: Original, Chilli and Cinnamon. They are made with four natural ingredients and baked with hot air. Suitable for everyone from toddlers to adults in 20g and 60g bags, the Peanut Butter Puffs are sold at supermarket retailer Waitrose and health stores. A 60g bag retails at £1.99 ($2.87). Rhythm108 introduced its tea biscuit range, available in two flavours: Lemon & Ginger and Chocolate Hazelnut. Both are dairy- and gluten-free, made with coconut oil, provide a source of fibre, contain no refined sugar and are under 230 calories. The group also showcased its dessert bars, which contain Swiss whole milk, nuts, dates and amaranth and orchard fruit. Available in individual packs of 42g, 12 or 18-piece display box, flavours include Coconut Muffin, Banana Muffin, Choco Walnut Brownie, Apple Pie and Lemon Cake. They contain no added sugars, preservatives or gluten. Probios launched its GoVegan sweet and savoury snacks range to the UK market. It includes spelt and wheat vegan croissants, which are available with apricot, cherry or chocolate filling and whole wheat. Also featured in the range are biscuits, available in two varieties: chocolate with sprouted rice as well as hazelnut with oats and barley flour. Both include sunflower oil, cream of rice and Italian wheat. In addition, the GoVegan range includes spreads, available in Chocolate and Hazelnut as well as Almond and Cocoa. Both are produced without palm oil and are gluten-free. Belvas exhibited its organic chocolate Belgian Thins. Made with buckwheat, goji berries, roasted almonds, sunflower seeds, puffed quinoa, pumpkin seeds and guerande salt, the broken chocolate pieces are gluten-free and are suitable for vegans. They are available in three flavours: 36 per cent organic milk chocolate, 55 per cent organic dark chocolate and 85 per cent organic dark chocolate. Loving Earth introduced its range of raw organic fair trade chocolates, which are gluten- and soy-free, to the UK. The company says it is committed to using whole foods from certified organic sources as ingredients. This means they contain no preservatives, pesticides or herbicides. It also means its vegan milk and caramel chocolates develop their creamy taste and texture from whole cashew, coconut and hazelnut. The collection is available at Planet Organic and online at planetorganic.com.